E.W. Jackson Wins First Debate. 44 Days Left To Join The Winning Team! E.W. Declared Winner of Debate. There Are 44 Days Left To Let Everyone Know! As the campaign manager for Bishop E.W. Jackson, I should have been nervous about the debate Saturday afternoon in Roanoke. But, I wasn't nervous at all. I have seen E.W. speak to groups countless times now and what happened in Roanoke on Saturday is what happens every time he speaks; he wins the day. While each campaign always claims victory in these sorts of events, E.W. wowed the crowd as he always does and now everyone is starting to take notice. According to the news blog website Virginia Right (varight.com), "Republican Candidate for US Senate Bishop E.W. Jackson won the first of three debates that the Republican Party of Virginia has planned between now and the Republican Primary on June 12, 2012. Jackson's enthusiasm and charisma was in full display as this man of humble beginnings has gone from a foster child to candidate for the United States Senate." According to the website Bearingdrift.com, the "candidate who helped himself the most today (was) E.W. Jackson. He proved to be a forceful speaker and on par with Bob Marshall at tossing out humorous, yet true statements. (He) seemed to be the crowd favorite." Things are going great, but the stark reality is that we only have 44 days to get the rest of the voters in Virginia the message that the best choice in this race is E.W. Jackson. BUT TO GET THAT MESSAGE OUT WE DESPERATELY NEED YOUR FINANCIAL SUPPORT. CLICK HERE AND PROVIDE THE MOST GENEROUS DONATION YOU CAN SO OUR TEAM CAN REACH AS MANY VOTERS AS WE CAN ABOUT E.W. JACKSON.. It's not just conservative websites that are on board, the mainstream media is also noticing that E.W. Jackson is a formidable candidate. According to the Richmond Times Dispatch , in their article titled "Fiery Jackson Makes Impression at GOP U.S. Senate Debate: "If there was any surprise at today's Republican U.S. Senate debate in Roanoke, it was the performance of little-known candidate and Chesapeake minister E.W. Jackson. E.W. showed what his supporters already know; that he is the G.O.P candidate to beat Tim Kaine and help defeat Barrack Obama in November. The only thing separating us from victory is awareness. Once voters see E.W. Jackson speak on the issues, the case for voting for E.W. becomes very clear. We need to get him in front of as many voters as possible; we need to get the message out to enough voters to win on June 12. There is very little time and frankly, we need a lot of money to reach those voters. Please give a generous donation today. 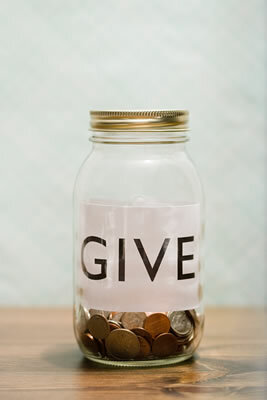 Give as much as you can as often as you can to give E.W. a chance to reach more voters with his message of hope for America so that he can be our next Virginia Senator. Click here to donate Now! Help us get the word out today with a generous donation! Become an Ambassador for Jackson. Even $20 a month (starting today) through June will go along way to helping us win this race. Plus there are other practical things you can do to help. Click here for more information. E.W. Jackson is truly a grassroots phenomenon. He is the only candidate in this race who is not a long-term political player. His staff is almost entirely a volunteer based organization. We believe in him enough to sacrifice our own money and time to help. We were told we would never make it on the ballot. And here we are. We were told we couldn't compete. Well, we just won the first debate. All we need is a wider level of funding and we can shock the political world and send a real patriot to D.C. who will fight every day for the ideals you hold so dear. E.W. will lead this fight, but he needs you behind him. Let's roll up our sleeves today and help E.W. Jackson become the leader Virginia needs at this critical moment in history. Give today and help us Fix Washington Now! P.S. We will have footage available of the debate later this week. Stay tuned to see more of what all the pundits are talking about. Thank you for coming out to the Monmouth County freeholder meeting Thursday in Atlantic Highlands. There was an amazing number of people there. As you know, the Resolution Concerning UN Agenda 21 was withdrawn from the agenda at the last minute. If you are a Monmouth County resident, please take a moment to let the freeholders know we are still watching for this resolution. You might want to start by saying that it is essential they take a formal stand against UN Agenda 21 and its local funding and implementation methods. Also let them know you would like them to finalize this and vote on it no later than the May 10 meeting. The following candidates have signed the RNC Resolution Exposing UN Agenda 21 or a similar statement denouncing the UN, Agenda 21 and any US involvement with this insidious foreign government. Please carry the RNC Resolution to every candidate event and get them to sign! And if they won't sign make them tell you why. The State Planning Commission will meet on Monday, April 30, 2012 at 10:00 a.m. The meeting will be held in Committee Room 1 of the State House Annex located at 125 West State Street, Trenton. There is no vote scheduled on the agenda and there is no redline posted for public review. If you can go to the Monday meeting you can find out where this redline currently stands. ANCILLARY INFORMATION: Two patriots were able to ask questions during Gov. Christie's recent town hall. One asked about the Foreclosure Act: would Christie veto it. He said he could not say, because he hadn't read the bill. (DISINGENUOUS!!) The second questioner asked about the draft state development and redevelopment plan. He said he would speak with Lt. Gov. Guadagno about more meetings. ACTION: TUESDAY THROUGH THURSDAY this week – your direct grassroots action is extremely effective!! Call and email on each of the 3 topics below. Each email should be about one specific issue only. C'MON MELT THOSE PHONE LINES!!! WANTED: Citizens to collect public financial and operating information. CAFRs. operating budgets, everything. Any and every town needed. If you want your town to withdraw from ICLEI, to reject the UN Agenda 21, to restore citizen-directed government, you must do this. Follow the money. If interested email AgEndersNJ@Gmail.com . These are more, much more, than the district budgets that you normally see. This is the method that Ocean County activists used to discover the hidden money flows that support UN Agenda 21-related activities and entities. Shocking video: The shattered economy in northern Middlesex County. The filmmaker comments: "I made this for an older couple that lives in East Brunswick. So they could see what's going on within miles of their home. J&S I hope you liked it. And I was only able to show you 35% of what's really for sale in your area as there is NO Beethoven song long enough to show it all." 30 seconds says it all. Many hardworking Americans, caught in the government-caused vortex of lost income, high real estate taxes, and declining property values have lost their homes. Now Trenton seeks to reward the lowest rungs of society with the very houses these reputable working Americans lost. Agenda 21 social equity in action – also a communist property seizure action of which Josef Stalin would be proud. VIDEO: If I Wanted America To Fail << BRILLIANT! Show this to young people. Send to Gov. Christie and staff! HOW AGENDA 21 IS ALREADY TRANSFORMING YOUR COMMUNITY: This 90-minute "show and tell" presentation demonstrates conclusively how state, federal and world leaders are interfering in every county in the U.S. to prod us toward a new kind of governance designed to bring about the destruction of America. Learn why even local officials are unaware of what is happening and what you can do. On April 20, Wisconsin's Department of Justice reached an important milestone, issuing its 100,000th concealed carry permit. After only six months, this record-breaking number of applications and licenses demonstrate the demand for these permits and the success of this program in Wisconsin. EPA is creating an all-out social media propaganda campaign targeting the ill-informed (which does not include you, dear reader). But consider what damage is wrought on susceptible minds with this nonsense. If your group isn't using all the social media today, you're already behind in this game. Check out this disinformation/propaganda organization: United Nations Association of the United States. These are the folks who bring the Model UN program to your high school. If you see it run away. Convince your school not to participate. We not only have the APA and ICLEI training people on how to lie better about what they are doing, we now have our government doing the same thing. The citizens of this country have not been so divided since the Civil War. This will be the dirtiest Presidential campaign in our history, negative and rife with voter fraud. EVERY patriot needed, NOW. Register to vote and register others. Get involved in your Tea Party/912/liberty group GOTV efforts. If your group doesn't have a GOTV effort, ask if you can organize the effort. Call your Supervisor of Elections and sign up. Call a campaign and get your feet on the street. Declaration of Universal Rights of Mother Earth. Want General Assembly of UN to pass it at upcoming Rio conference. It would be funny if these people were not serious and did not control large portions of our government. When you are ready to watch the event you can click here. WATCH THE DEBATE LIVE STARTING IN MINUTES! It is true, that the regime has kept us very busy, dizzy and distracted to the max. We have been taking for granted, or ignoring, the first battle that we have to win, in order to have a chance to take back our nation: the totally and absolutely ban of the electronic voting machines. If we fail to win this GREAT BATTLE, we might as well say goodbye to the United States of America, the way we have known it and learn to live under a Communist regime. Action Alert: Who's Missing from this Picture? We have big plans for education, Tea Party legislation, and voter registration. Help us raise the funds to carry out these programs. To contribute, click the Donate button on our website. We are 100% dependent on your support. We have applied for 501c4 nonprofit status, and as such, donations are not tax deductible. ....the OTHER CANDIDATES! That's who. The Richmond Association of Realtors is holding a "joint appearance of U.S. Senatorial Candidates [with] George Allen and Tim Kaine." They are promoting this as a "gathering of former governors." Why is that a problem? Well, for starters, only TWO of the FIVE candidates are invited. So as a realtor, you're not given the opportunity to hear all the senatorial candidates? According to RAR, members need not concern themselves with Jamie Radtke? Bob Marshall? E.W. Jackson? They have been rendered irrelevant in the electoral process? Really? Now, we recognize that private organizations have the right to include or exclude guests speakers of their choosing; however, if the purpose of this event is to have its members "hear each candidate's approach to fostering a healthy housing industry," then shouldn't members be exposed to ALL candidates? Should not members hear ALL "candidates' approaches to fostering a healthy housing industry" and be well-informed? Or has the Richmond Association of Realtors already decided who its members must choose between? Go to Short Pump off Broad to Town Center West Blvd. Turn (R) across from Hilton; go past Grow Salon to gravel parking lot. Rally in support of ALL Senatorial Candidates! ...not just the chosen few. Tell the Richmond Association of Realtors that their gesture to eliminate three of the five senatorial candidates is lockstep with the political establishment (let alone the GOP or Dem. establishment). Let the "establishment" know that the voters should hear from ALL candidates, not just the two hand-selected ones. Want to know who the other three GOP candidates are? Check VARight.com. Hi! Just a quick note! What are the top business apps? Find out here! Don't come knocking on my door! US SENATE CANDIDATES FORUM TONITE IN WMBG.! RSVP for Southwest Townhalls Next Week!